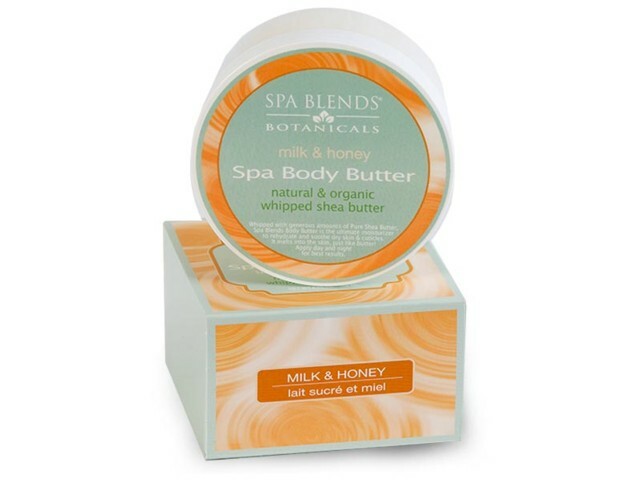 Creamy Shea Butter, Mango Butter, Glycerin, Aloe Vera, Sea Kelp, Ginseng, Comfrey,Glycerin, Vitamins A, C & E.
Whipped with generous amounts of shea butter and a perfect balance of Extracts and Vitamins. This is the perfect treatment during facials. Apply Body Butter to hands/feet at the beginning on a facial. Tuck hands away in heated mitts/booties. While your client is resting during the facial masque, remove mitts/booties and give a gentle hand/foot massage.